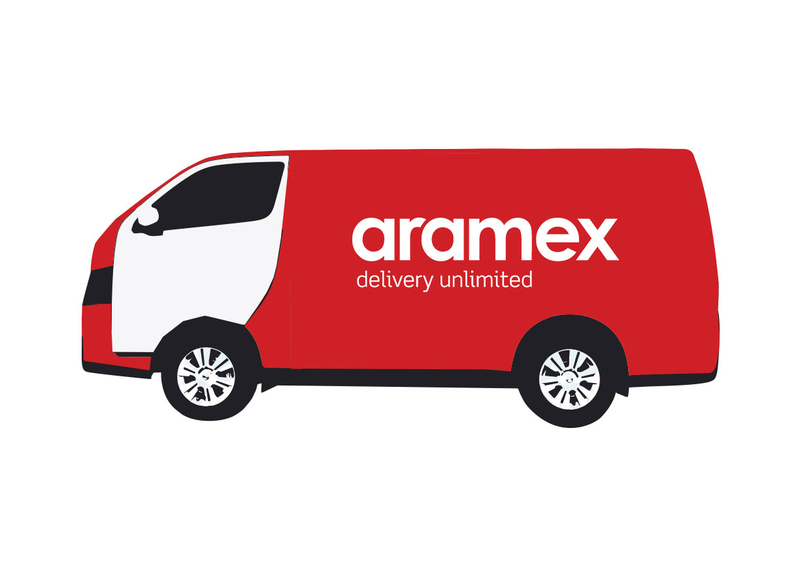 Enjoy the convenience of Same Day Delivery! 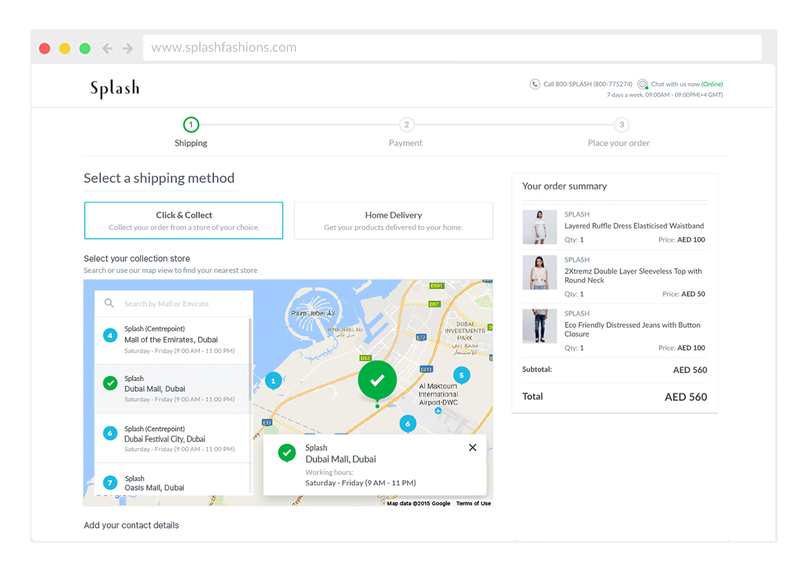 Simply place your order before 12:00 PM and receive it on the same day in Dubai. Get what you love faster! 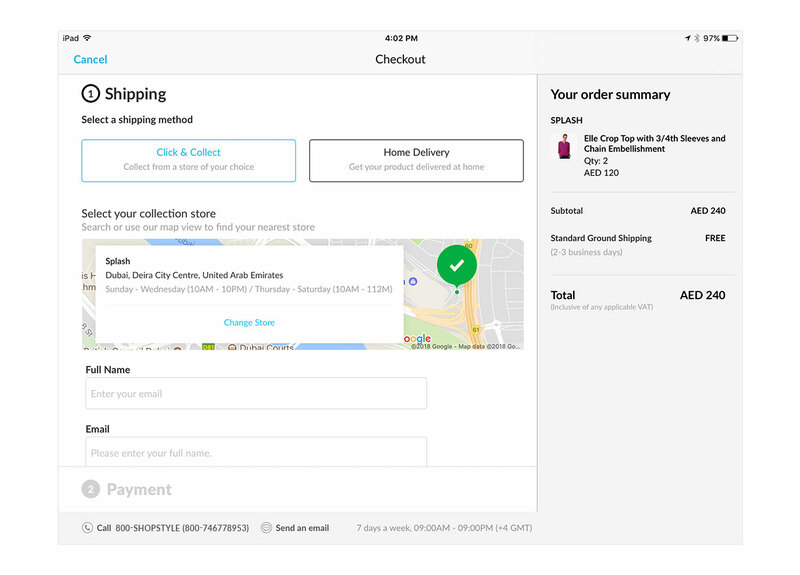 Collect your Click & Collect orders using Apple Wallet! 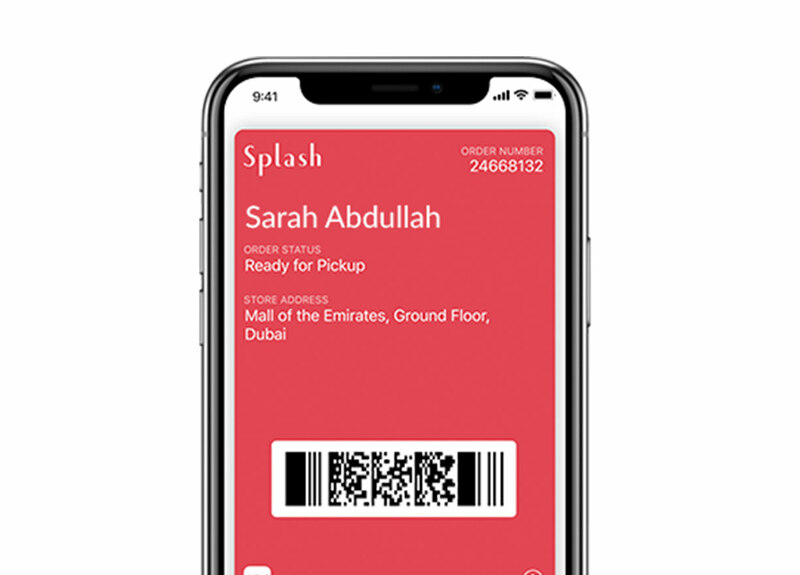 All you have to do is save your order confirmation in your Apple Wallet and show it to our store staff when you collect. Go on, give it a try! Enjoy instant refunds with My Credit. 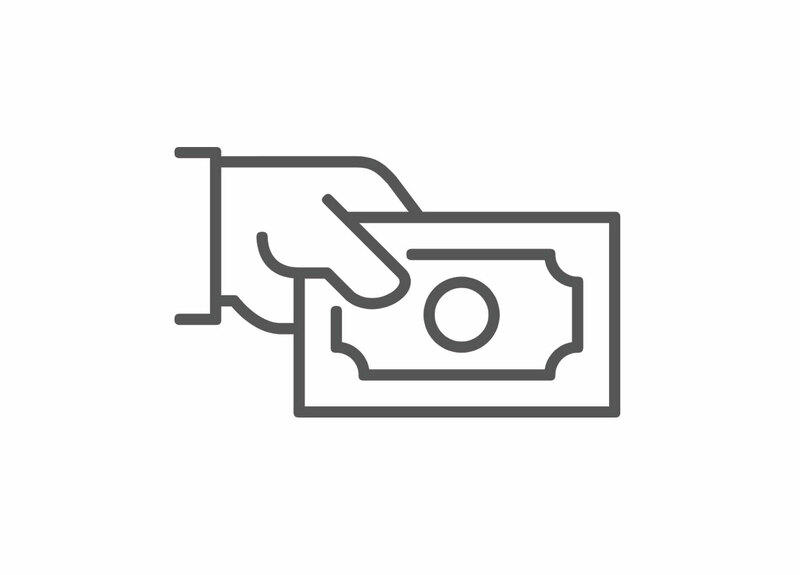 Now when you return your products, your refund will be instantly credited to your account. Simply use your credit to shop what you love anytime. 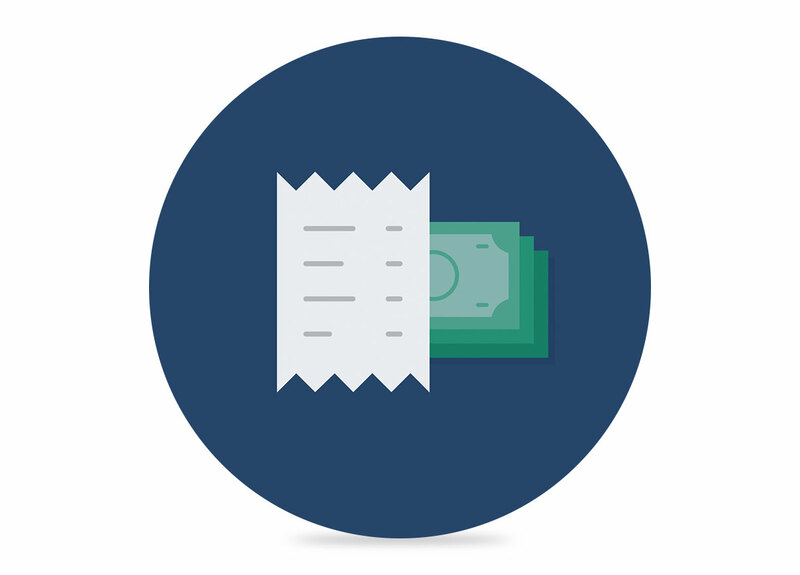 Pay easily and securely in a few simple steps with this trusted payment method. 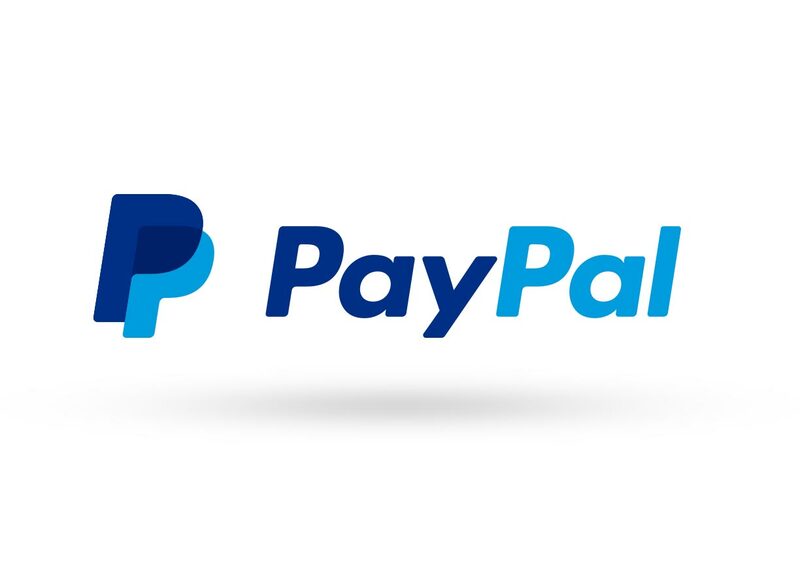 Just select PayPal at checkout. Enjoy the convenience of Click and Collect. Pay in cash for convenience. Enjoy a simple and convenient shopping experience with Cash on Delivery. Get your order faster with Next Business Day Delivery. 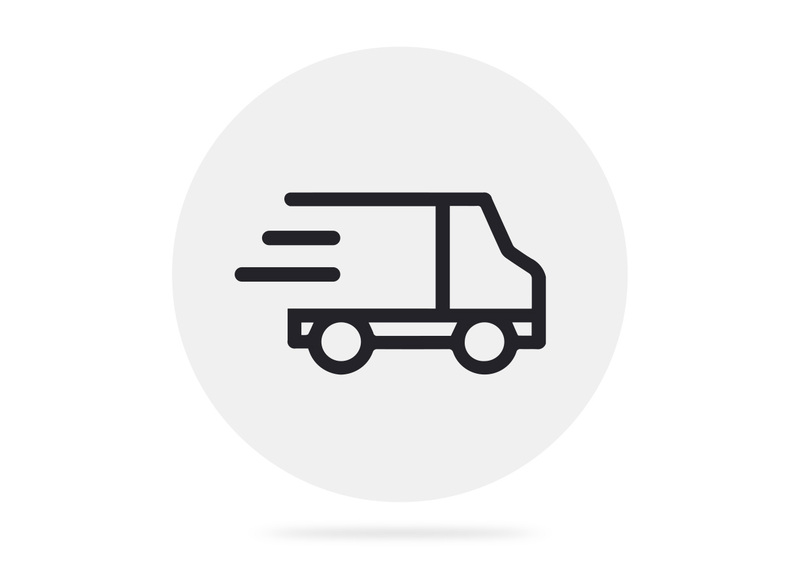 If you've placed your order before 3:30 PM, Saturday to Thursday, our Next Business Day Delivery guarantees your shipment will reach you by the very next working day. Easily return or cancel your products online. Placed an order and changed your mind? No problem. 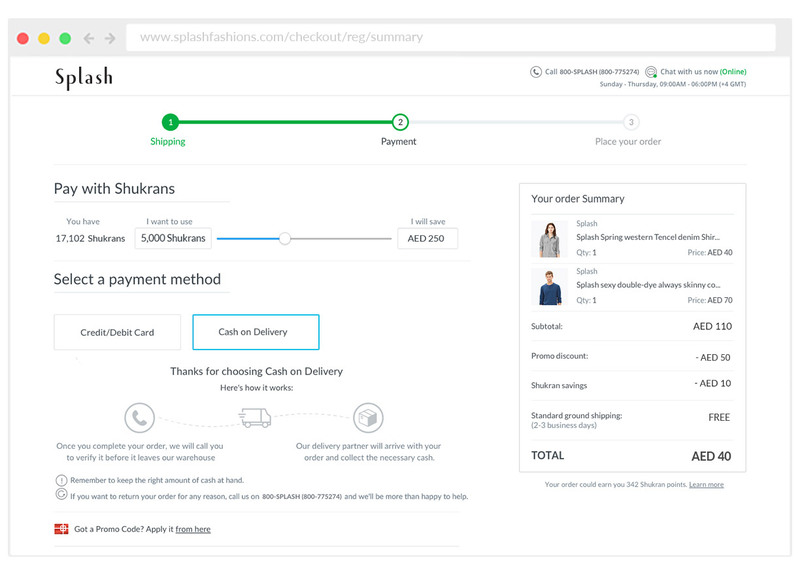 You can conveniently return or cancel your order from your account in a few easy steps. Box up your returns and visit your nearest Splash or Centrepoint store. Hand over your returns to a staff member. We’ll check them and give you either an immediate cash refund, a Credit Note or a refund to your card, depending on your payment method. We've made returns really simple - just call our friendly customer support staff to arrange a pickup. 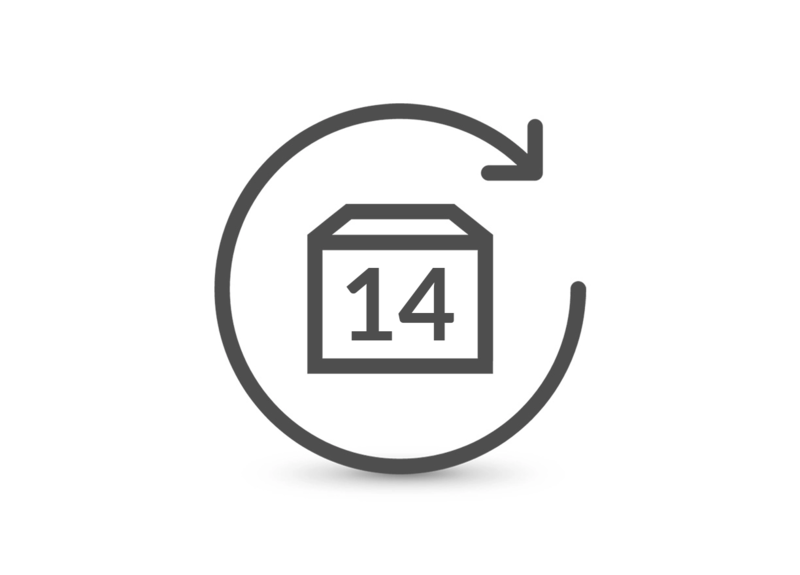 Our generous 14-day returns policy means there's no rush. 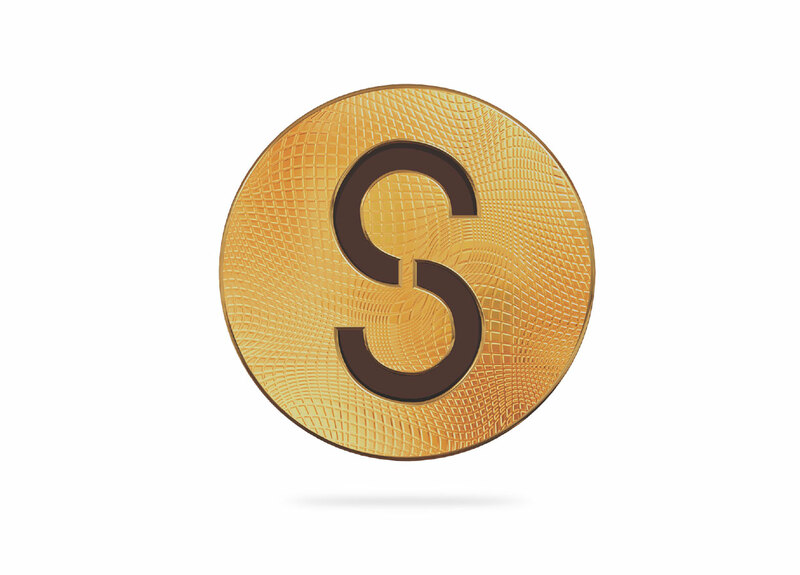 Earn and spend valuable Shukrans for instant savings. 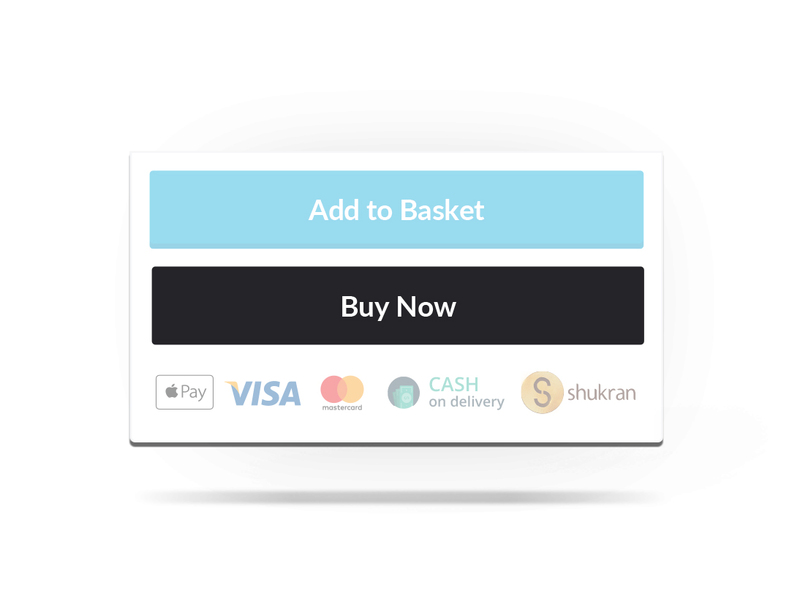 Enjoy a more rewarding shopping experience with Shukran on our site. Spend your Shukrans for instant savings with each online purchase, and earn valuable Shukrans at the same time for future discounts. 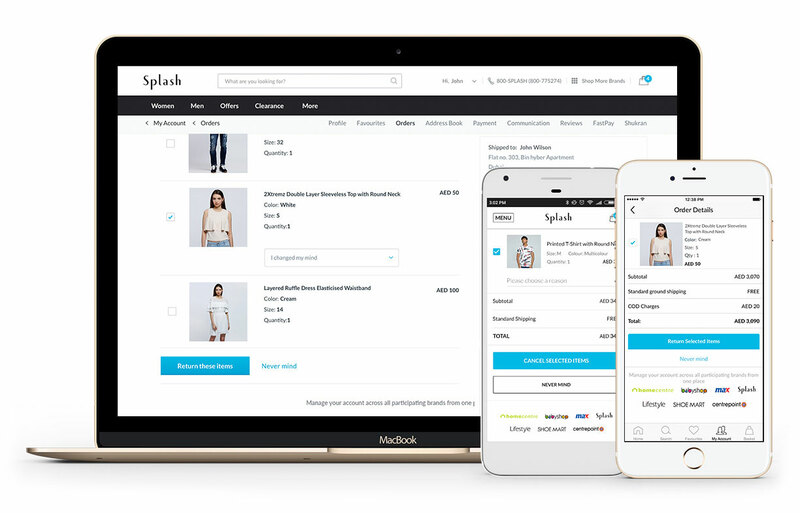 Shop faster with Buy Now! 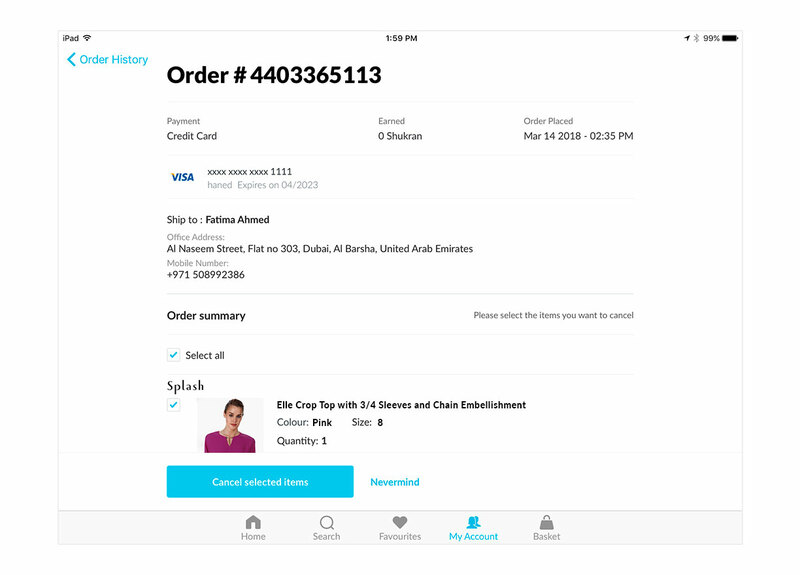 Now you can checkout, pay and finish your shopping in one simple and convenient step. Favourite the products you love. Save your most wanted products, and enjoy shopping them whenever you like. 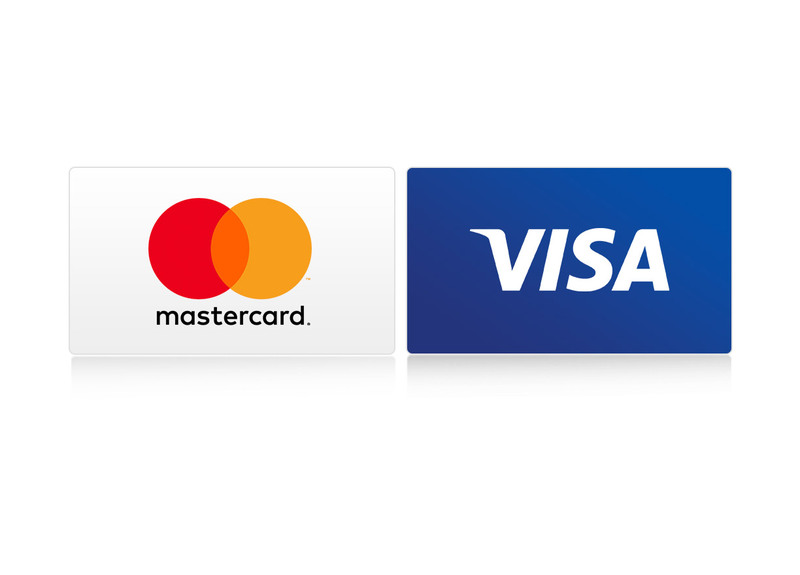 Our site is secured by industry-leading 256-bit SSL encryption to protect your shopping experience. Your trust means the world to us. And we’ll do everything we can to earn and keep it. 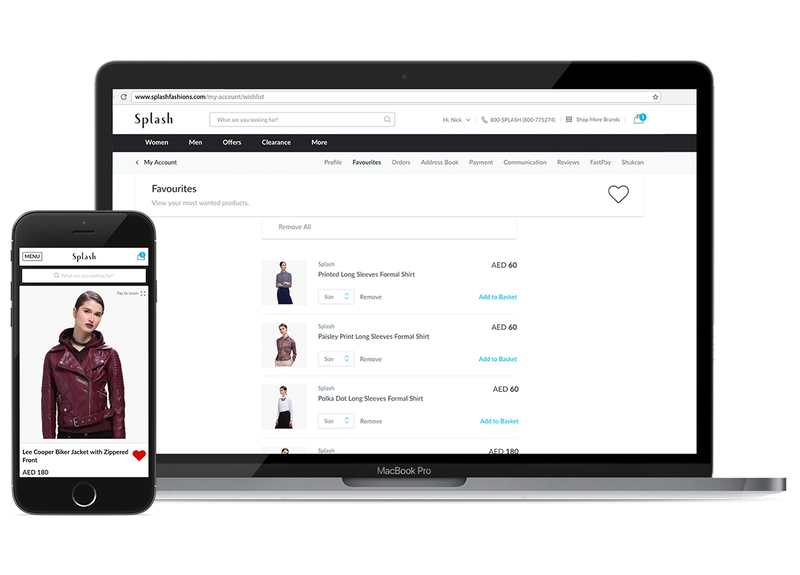 Shop on-the-go with our easy iPhone and Android apps. Experience our amazing iPhone, Android apps today. They’re simple, fast and built with love. Go on, check it out. 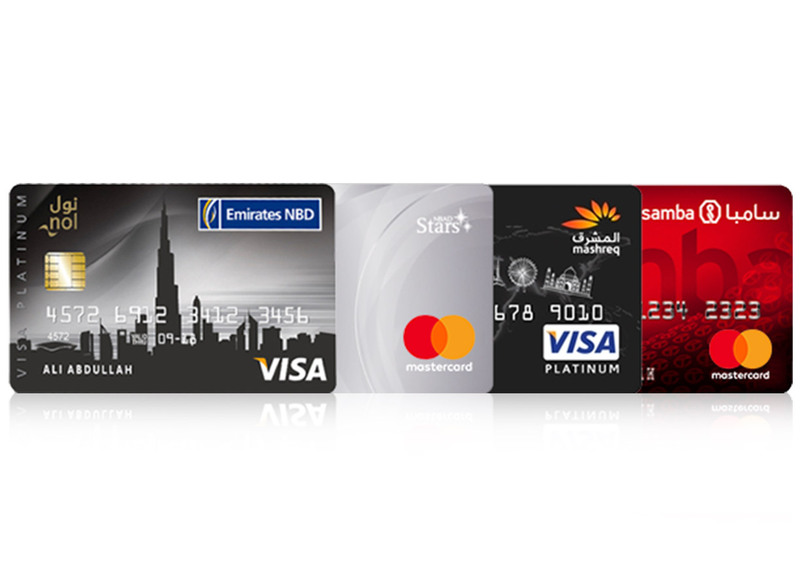 If you don’t live in the UAE, but are shopping for friends and family who do, simply use your international Credit Card and shop away. Pay easily as you go. Our customers with Emirates NBD, Mashreq, NBAD or Samba Credit Cards can pay for their orders of AED 1,000 and above in easy installments. That too, at 0% interest!